Adoption is the act or fact of being adopted or adopting something. In other words taking in something as your own. There are two different kinds of adoption domestic and international. 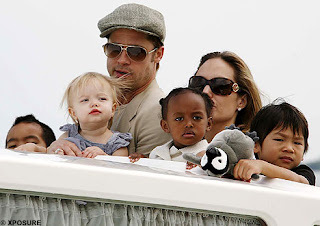 Domestic is adoption of a baby that is from the U.S. or your country. International adoption is adopting a baby from a foreign country. There are multiple reasons why people choose to adopt. Someone who’s physically unable to have their own kid but still wants a baby or maybe someone want to take a child out of a bad situations. There are many different local agencies that will help you adopt a baby like Foster Care, Child Welfare, and Social Services. You can’t go for adoption with one of these licensed private agencies. 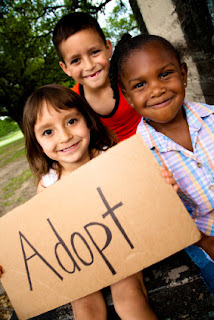 Identified or designated adoptions are legal in most states. You can be turned down if you seem unable to legitimately and safely take care of a child. In order to adopt sometimes you need an attorney or other intermediaries. There are 10 steps it takes in order to adopt a child, if you don’t follow these steps good luck getting a kid. The first step you have to take is learning about adoption. For example you’re going to have to know where to go to what to do. The second step is selecting an agency that works with the state that you’re located in. The third step is completing a Home-study. A home-study is a series of meetings with a social worker from the agency you’re trying to adopt a kid from that proves if you’re able to take care of a child. The fourth step is to search for the child that you want to adopt. The fifth step is exchanging information with the child’s agency. They do it to make every a legal matter. The sixth step is to understand that you’re up for adoption and your kid might not make it to be in your family. The children have a chance of being put into different families but the best environment for the child will be chosen. The seventh step is meeting the child. This is the most important step in my opinion. The eighth step is receiving a placement. The placement is the exact date the child will start living in your home. The ninth step is finalizing your adoption. In order to do this you go to court and a judge finalizes the adoption. The tenth step is just being a family. Adoption is an emotional and social process that’s not the easiest thing to do at all. Sometimes adoption doesn’t always work out. There have been many cases were kids are sent through many adoptions from when they were born to when they are old enough to be on their own. It’s very important to seriously think if you actually want to have a child or not. Don’t ever adopt a child if you’re not prepared. You should never put a baby in a dangerous position. If you don’t have enough money or skills to adopt a baby then don’t. Adoptions go in three ways, the parents adopting, the kid getting adopted, and the place the parents the kid is coming from. So if it doesn’t work between all three parties then it won’t ever work.